Closer to Havana than Miami, greetings from Key West!! For first timers and returning visitors, Key West remains a truly great vacation experience. Truman Annex is considered the best location on the island and is at "Mile Marker 0" and just two blocks from Duval Street and right at the entrance to Ft. Zachary Beach and next to Mallory Square and those famous nightly sunset festivals! All is walkable! As a former Navy Base, Truman Annex is a 6 block totally planned community designed to capture the historic essence of "Old Town". 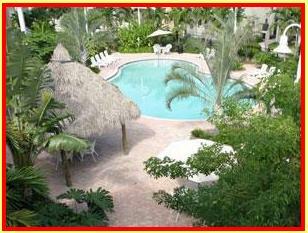 We offer properties ranging from 4 bedroom homes with private pools down to smaller two bedroom one bath condos. Beachside is located at "Mile Marker 4" and is one of Key West's newest and most exclusive resort, conference center and spa. Each residence is individually owned and our units are 2 and 3 bedroom with either a spiral staircase leading right to the beach or pool (or pool bar!). Our condos are full furnished with the "best of the best". Beachside is a seven acre waterfront property with a private beach, lush tropical grounds, waterfront swimming pool, spa, world-class dining, pool bar, room service, and more. There is even a free courtesy shuttle to drop you off and pick you up on Duval Street! 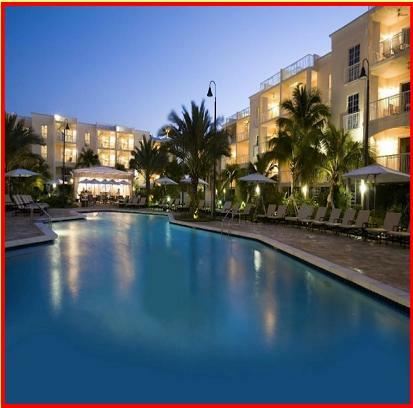 Click here for more information on our Key West Beachside Resort Condos or click on the picture of the Beachside pool to the left. Click here for more information on our Key West Truman Annex properties or click on the picture of the entrance to the Truman annex to the left. Coral Hammock is a gated community of 55 luxury resort homes with a lavish Clubhouse and Pool and lushly landscaped grounds. Located at "Mile Marker 5" and ideally located across from the Key West Golf Club and just down the street from world class fishing and other activities at the Hurricane Hole Restaurant and Marina. While biking and scooters are the preferred method of transportation in Key West, we offer a free parking pass to an Old Town parking garage to make it easier to enjoy both Old Town and the privacy of your Coral Hammock retreat. We offer a 2 bedroom home directly poolside. 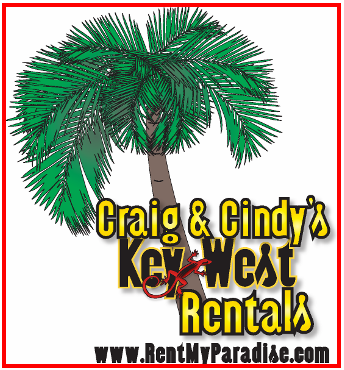 Click here for more information on our Key West Coral Hammock Royal Palm Houses or click on the picture of the Coral Hammock pool to the left. Click here to join Craig's Facebook page and receive notification of all rental discounts & specials.